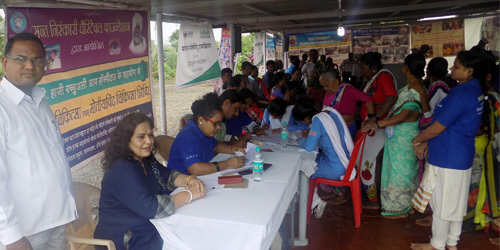 With the kind blessings of Her Holiness Satguru Mata Sudhiksha Ji Maharaj an eye checkup camp was organized at Alibag in Maharashtra by Sant Nirankari Charitable Foundation on July 21, 2018 where 210 patients were treated in OPD. 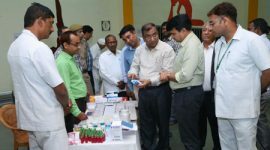 Doctors from National Association for the Blind, Worli – Mumbai and KB Haji Bachoo Ali Hospital, Parel Mumbai visited the camp and treated the patients. 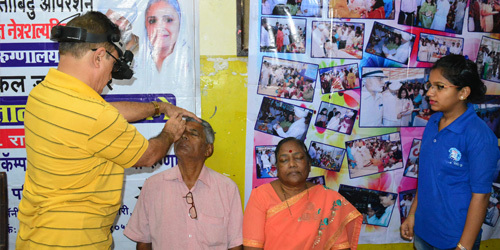 45 patients were diagnosed as cataract cases by the Doctors. 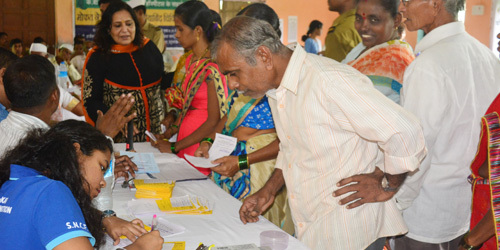 As many as 119 spectacles were distributed free of cost to the patients. 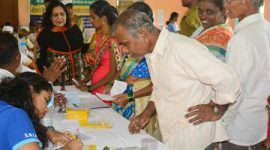 25 patients were referred to the Hospitals for further checkup. 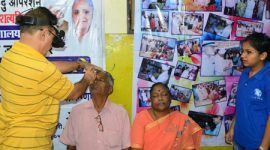 The local people of Alibag expressed their gratefulness to the Sant Nirankari Charitable Foundation for arranging this free eye checkup camp and free distributes of Spectacles here. 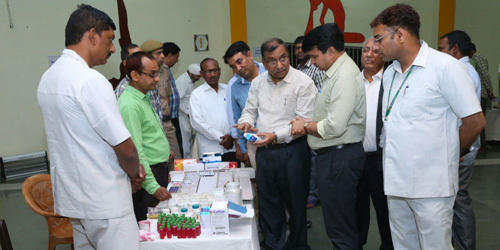 Mr. Sadhe Phule, DSP Thane Jail, Mrs and Mr. Dr. Shinde Ji, Rev Arun Patil Ji, Rev. Devnath Patil Ji, and Rev. Vijay Ahire Ji were also present.